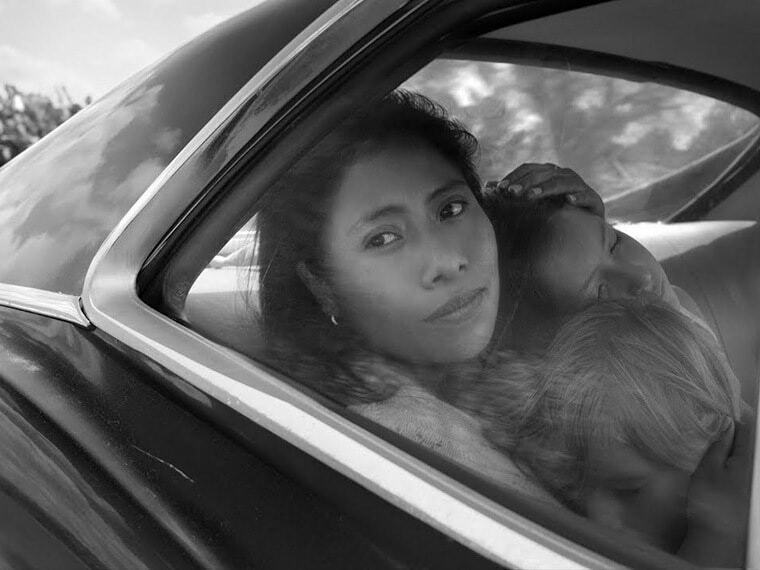 Alfonso Cuaron deep-dives into his childhood to craft a grand vision with intimacy, which is aided by a quiet performance by debutante Yalitza Aparicio. In her Cleo, the director roots the emotional pivot of a film that grows ever bigger in scale with the passage of time, gradually taking on social and political dimensions, even wrestling with the bruised beast of Mexican history, without losing sight of its profoundly human core. From the rumble and rubble of a battered time, Cleo rises silently and unassumingly like a single blade of grass breaking out of a pavement bludgeoned by the march of progress. Roma derives its name from the neighbourhood Cuaron grew up in in the '70s. From the very beginning, he informs the viewer of his intent to depict the world of of his childhood through the eyes of Cleo, the housemaid. She is cleaning a tiled floor in the first scene as a plane passes by overhead, whose reflection we glimpse momentarily in the mirror of the slowly settling water. Humility and ambition in one frame; Cuaron sets himself up for a humungous challenge that he gradually matches with a technical acumen reminiscent of his most illuminating cinematic work. His masterful use of the 360-degree sweep shot is a case in point. The shot shows up at moments chosen to strategically buffet and complement the narrative. He uses it first to give us an all encompassing view of the household, which will suffer the ravages of time and begin to come apart at the seams as the story progresses. Then, in an inspired choice, the shot is used inside a store where a student protester barges in, looking to escape being killed by government mercenaries. The home and the world become one. The imaginaries of family and nation assaulted and bloodied together. That Cleo’s erstwhile, runaway lover shows up in the same sequence only adds to the disquiet engendered by this moment. There are multiple instances of this dramatic use of technique to complement and restrain the grandeur of individual frames that truly sets Roma apart as a work of art. More significantly, it nurtures the film’s soul, carrying its pale fire through the ebb and flow of personal and political history. Cuaron is cognisant of his cinematic forbears and their lasting influence as well, Fellini foremost among them. Roma gradually grows to emulate and pay homage to Fellini’s grand celebrations of childhood, Amarcord key among them. There is even a tiny nod to 8 1/2, which should interest those with a nose for trivia. But Cuaron’s vision is endowed with a keenly somber tone that sets it apart from Fellini’s surreal style of celebrating humanity. It finds a perfect accomplice in the black and white photography of the film, which Cuaron executed himself. The creative control Cuaron exercises, perhaps owing to Netflix, is evident throughout the film. Roma’s personality is seldom sullied by commercial considerations. For once, his penchant for long, unbroken shots is matched by a justification and execution that makes for searing cinema that is not out there simply to flex its muscles in front of an adoring crowd. This film is really about the sea inside Cleo, whose raging waves come up against the calm, unaffected shores of her being. Even as they pant and roil tirelessly, Cleo remains quiet, pensive and collected. So when her breaking point does arrive, it shatters you right through, slyly transforming into a symbol for the world conjured by the filmmaker, a world already ruptured by the departure of a father whose absence threatens to ruin House No 21 on this street. And Roma is full of symbols. It even makes room for near surreal moments underlined by a dash of the absurd, the immaculately presented fire scene at the hacienda foremost among them. But Cuaron never grows overboard with his symbolism or his metaphors, choosing to contrast the social divisions with a seemingly flat explication instead. So an extended shot inside the owners’ New Year's party simply gives way to another following Cleo down to the servants’ bash, almost functionally pointing at the class divisions that define society. In sum, Cuaron’s Roma is moved by the gentle levers of love, operating quietly underneath the toil and torrents that Mexican society endures during the time. Cleo remains its most prominent visual representative. If Cuaron’s decision to explore the world of his childhood through the lens of a maid at the house is not humbling enough, his blending of craft and technique to remain devoutly faithful to her should push you to share in his vision. This is a film about childhood where the children remain the most underdeveloped of all characters. While it may appear as a glaring flaw to some, the appurtenances of those halcyon days that Cuaron places in the nooks and crannies of his frames communicate his intent with ease. Individual frames pregnant with meaning, the background fecund as ever, gently foregrounding the characters’ concerns with a near invisible force; all the hallmarks of a director at the height of his powers are there for us to witness. 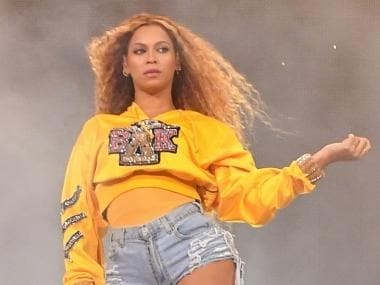 And when he plunges courageously into unfamiliar territory like Cleo walking into the waves of a sea threatening to swallow up two of the children, he returns with the pearls of artistic success found only after forming a deep appreciation and humility towards his chosen trade. Unfettered, clever and deeply moving, Roma is a cinematic experience for the ages, and those who watch it in a theatre will be privy to its uniquely absorbing power.